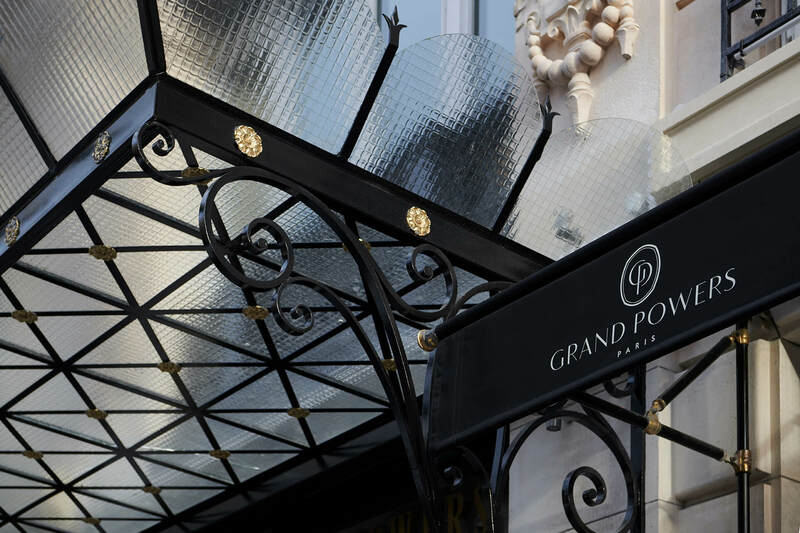 The Grand Powers nobly installed in the heart of the Parisian Golden Triangle since 1920 metamorphoses. This 5-star residence offers a virtuosity of balance between heritage and invention. Sublimate the old, magnify the heritage, celebrate modernity and understated elegance, these are the key words of this reinvention. The 50 rooms and suites offer a soft and cozy atmosphere, timeless, warm and bright. 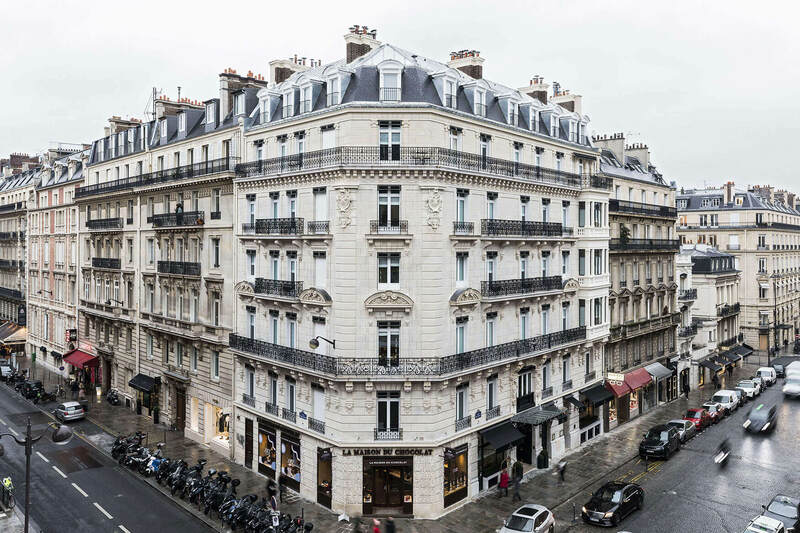 Quintessence of Parisian chic, they preserve the grandiose volumes, the refinement of moldings and antique fireplaces. Colored, they are available in powder pink, celadon green or blue depending on the floor. Their specially designed furniture is a tribute to the design of the last 100 years. 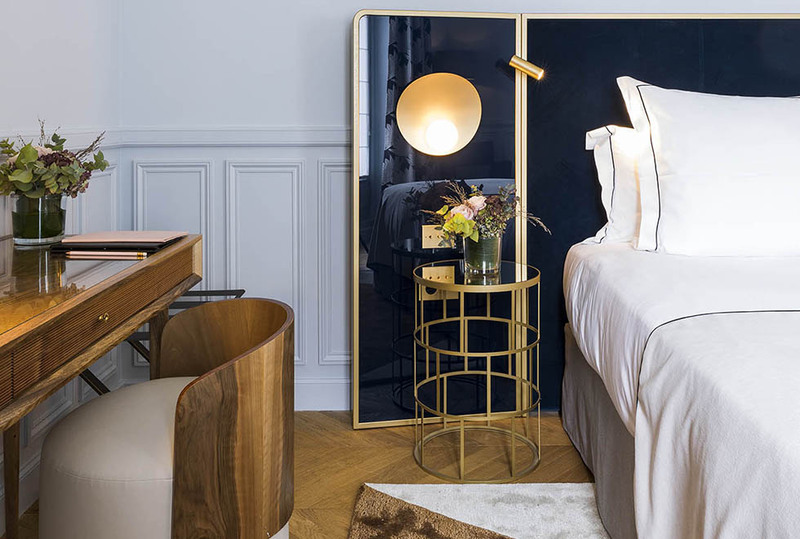 The materials (lacquered paint, aged brass, marble, oak and walnut) and fabrics (velvet and silk) reinforce this impression of luxury and comfort. 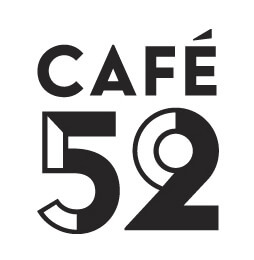 The Grand Powers houses its restaurant, Cafe 52, which offers all-day cuisine with a "refined snacking" spirit, balanced and seasonal, expertly orchestrated by Chef Maxime Raab, in an intimate and warm atmosphere. 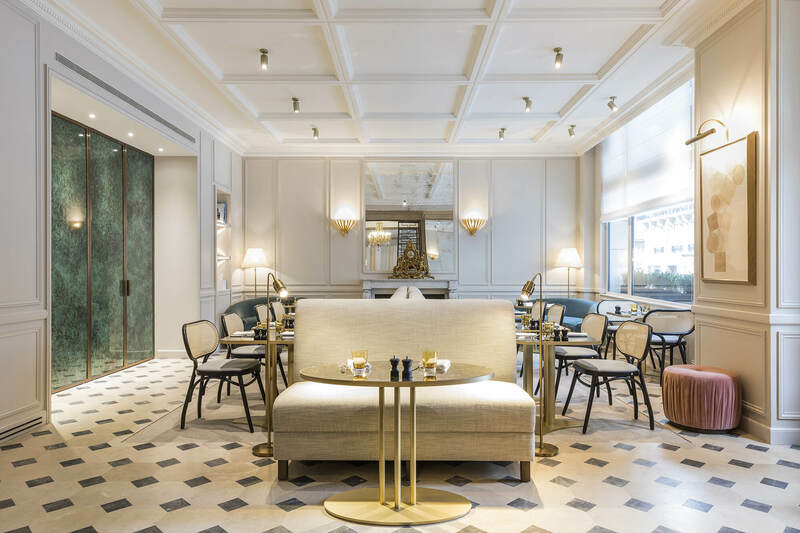 Nearby, the bar, intimate setting with warm and floral tones, invites its guests and Parisians to discover cocktails and finger food, with a daring signature. 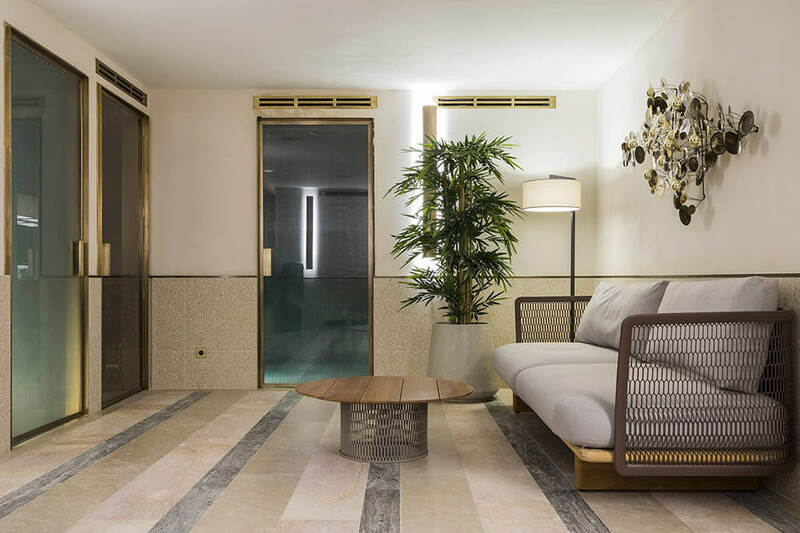 Entirely dressed in marble, the Thala Spa has been imagined as a protective and energizing cocoon. Time is suspended here, with a tailor-made Dermalogica treatment, a relaxing Jacuzzi bath or a moment of intense relaxation in the Hammam. 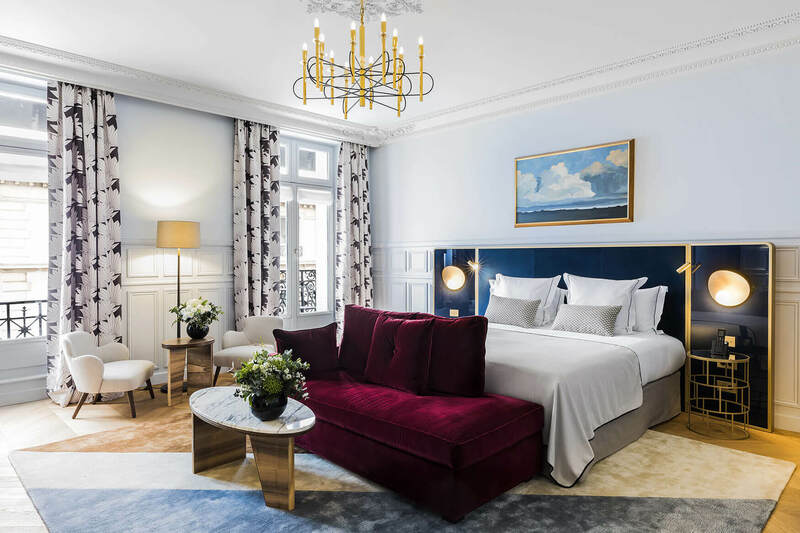 In the most beautiful suites of the hotel, in the Café 52 or in the lounge Eugene, realize your most beautiful events, your most exclusive desires.